Going Pro with Logic Pro 9 - This book is geared towards the pro user of this software program. 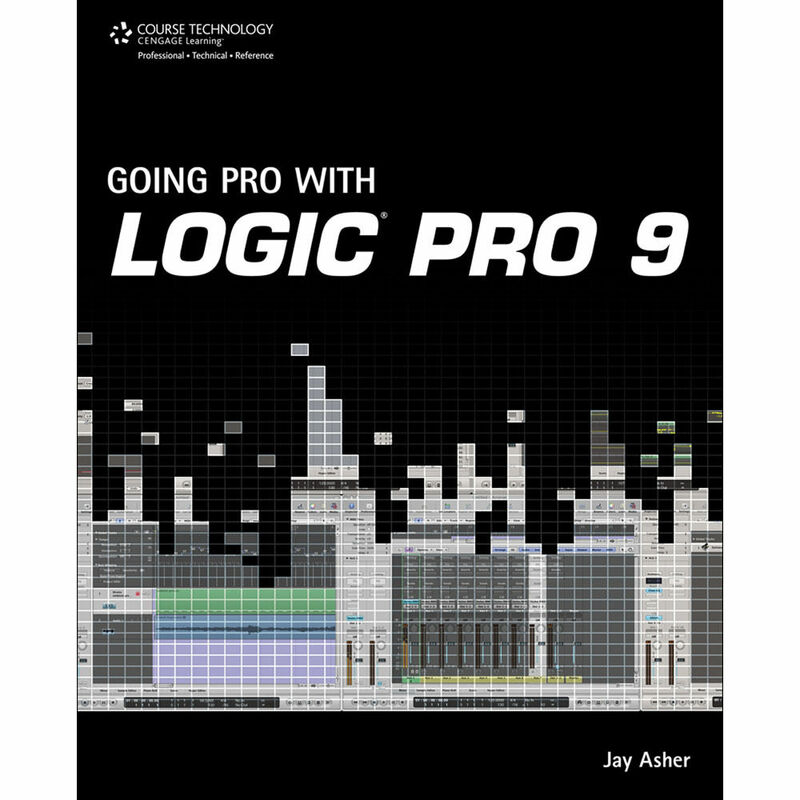 Never mind the user manual - this book takes you farther into the capabilities of what Logic Pro 9 can do. You'll learn tips and techniques the manual doesn't mention. From customized setups, to recording and editing and final output, you'll be amazed at what the program can do. Topics covered include building custom mixers; designing templates; organizing your sound palette; dealing with third-party software, applications, and hardware, such as UAD cards and the Akai MPC3000; mixing tips; mastering tips; and much more. About the Author: Jay Asher has had a long and diverse career in the entertainment industry. A Boston native, Jay graduated the Boston Conservatory of Music as a composition major. He moved to Los Angeles in 1972 and studied orchestration with the late Dr. Albert Harris. Since arriving in Los Angeles, Jay has worked as a composer, songwriter, orchestrator, arranger, conductor, musical director, pianist, and singer for records, TV, film, and live performances. His songs have been recorded by, among others, Mims, Julio Iglesias, Whitney Houston, Donna Summer, Stephanie Mills, and Ahmad Jamal. He has scored TV shows and films, most notably, the '90s worldwide hit TV series, Zorro. In recent years, he has added the role of educator to his job description, teaching Logic Pro at UCLA Extension, the Songwriting School of Los Angeles, and as a private consultant to many well-known composers and recording artists. He is a Level 2 Certified Trainer. Box Dimensions (LxWxH) 8.9 x 7.4 x 0.7"